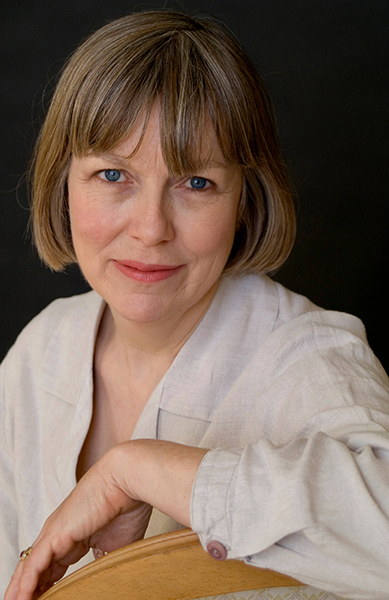 Alison Bury was a founder member and regular leader of the Orchestra of the Age of Enlightenment, appearing and recording with them as leader, soloist and director. As leader of the OAE she was usually to be found at Glyndebourne Festival Opera for performances of the operas of Handel and other baroque composers. In the 2007 season, she led the OAE in the Glyndebourne dramatisation of Bach’s St Matthew Passion and in 2009 she was there for Purcell The Fairy-Queen and Handel Julio Cesare. For the 2012 season, she played with the OAE in Purcell Fairy Queen and Mozart Nozze di Figaro. For over 20 years, Alison was leader of the English Baroque Soloists and has taken part in numerous recordings and toured in Europe, Australia, the U.S.A. and the Far East, including the Millennium Tour of Bach’s Cantatas. Alison Bury started playing the baroque violin while a student at the Royal College of Music. After completing her studies there she won a Boise Scholarship to study at the Salzburg Mozarteum with Sandor Vegh and Nikolaus Harnoncourt. While in Austria she performed and recorded with Concentus Musicus of Vienna. Alison also plays with the Raglan Baroque Players and accompanied them on their visit to the Baroque Music Festival in Australia. Recent chamber music activities include performances of the Beethoven Septet with other members of the OAE and recitals with harpsichordists Nicholas Parle, Maggie Cole and Malcolm Proud. She is highly regarded by singers with whom she has worked, including Andreas Scholl and Daniele de Niese, with whom she worked on a recording of Mozart arias. Additional solo work includes performances and recordings with the Academy of Ancient Music, the Raglan Baroque Players and the Taverner Players.